IDF confirms that military response to rocket that injured 7 north of Tel Aviv has begun. Arab media report several airstrikes. The IDF confirmed Monday afternoon that the military response to the firing of a rocket at central Israel by terrorists in the Gaza Strip had begun. The IDF Spokesperson issued a statement stating that the IDF had begun to attack targets belonging to the Hamas terrorist organization throughout the Gaza Strip. The action was after a rocket was fired at Moshav Mishmeret in the Sharon region, hit a house and wounded seven civilians. 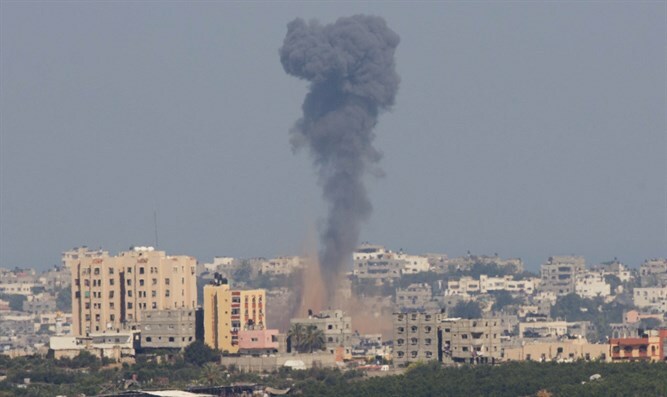 Arab media reported that the Israeli Air Force had attacked several locations in the Gaza Strip.